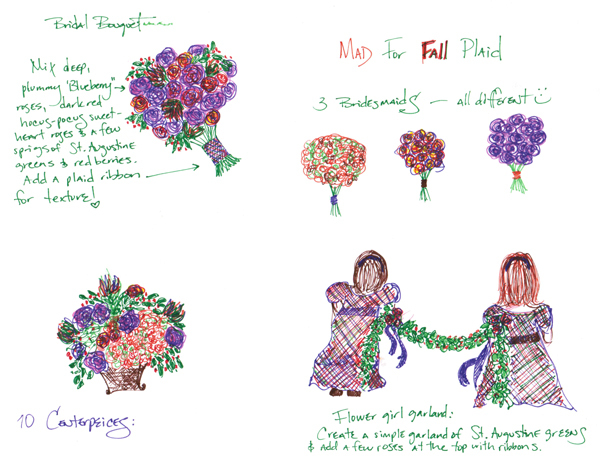 Home DIY's	Bouquet Inspirations: Mad for Plaid! Bouquet Inspirations: Mad for Plaid! To create this Bridal Bouquet mix about 18 stems of deep plummy, Blueberry Roses and about 8-11 stems of dark red Hocus Pocus sweetheart roses with 3-5 stems of St. Augustine greens and red berries. Finish with a plaid ribbon to add texture and tie in the theme! 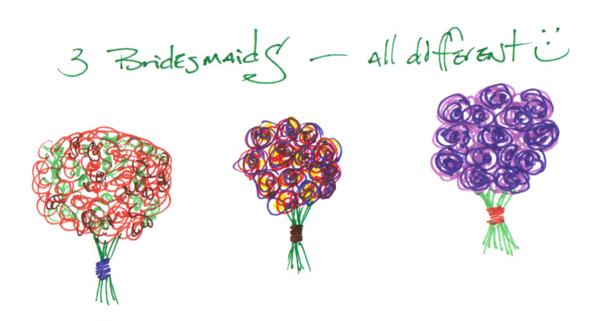 I love the idea of Bridesmaids carrying different bouquets! 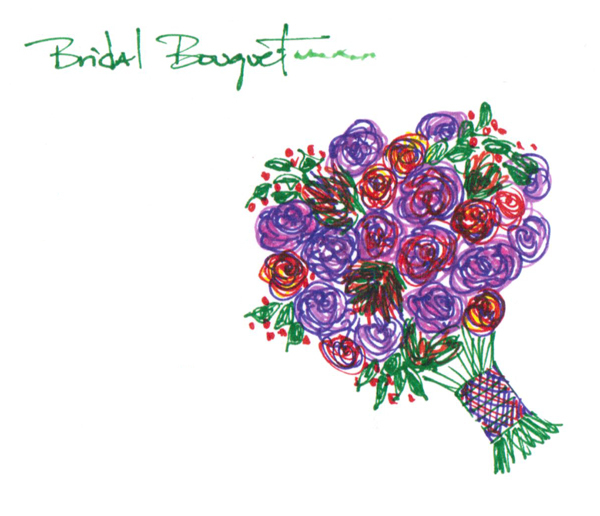 To create 3 different bridesmaid bouquets, use 1 single stem of Hydrangea for one, use 11-15 stems of Hocus Pocus Roses for the second, and 11 stems of Blueberry Roses for the third. Finish with plaid ribbon! For the Moms, you can make two Bouquets, each consisting of 1 stem Hydrangea wrapped with ribbon. Easy and Beautiful! Create a simple garland of St. Augustine greens, tie stems together with floral wire. Add a few roses and ribbon at the top for extra fun. 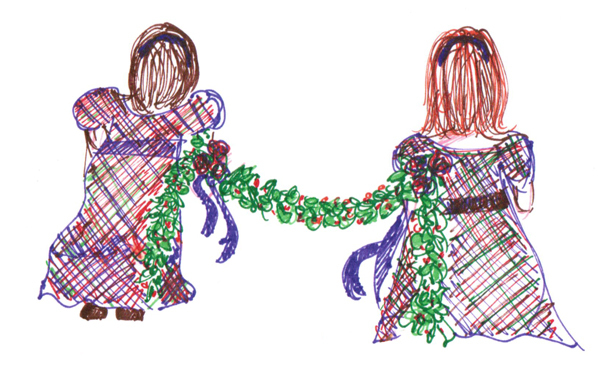 I have seen Flowers Girls walk down an aisle with garland and it is so cute and perfect for the a Holiday wedding. For the Men of the Wedding, you can create 7 Boutonnieres. 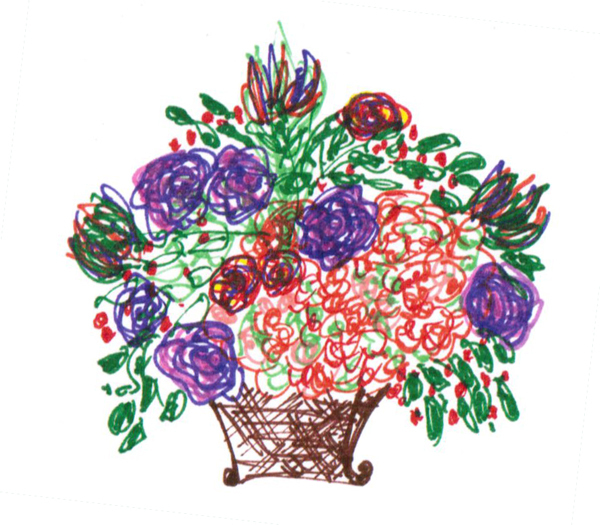 Use single roses for each and mix it up… you can even add in a few sprigs of St. Augustine greens! To create 10 centerpieces, use 1 Hydrangea, 7 BlueBerry Roses, 3-5 Hocus Pocus Roses, 3-5 stems Safari Sunset greens, and 5-7 stems St. Augustine greens in each. That’s it! Would you rock a plaid theme for your wedding? TODAY ONLY! “Ready-To-Go” Centerpieces $59.99 w/ FREE SHIPPING!